South African War papers / ephemera of J.G. Browne, born 1878, gaxetted second lieutenant in the 14th (Kings) Hussars 4th november 1899, served in the Boer war 1899 - 1902. Later served in West Africa 1906-1911, India 1911-1912. During the 1914 / 1918 war served in Gallipoli, Egypt and France. Promoted colonel 14th (Kings )Hussars 1921. Co-author with Col. E.J. Bridges of - 'Historical Record of the 14th (Kings) Hussars 1900 - 1922'. Ten items listed hereunder. A. Historical Record of the 14th (Kings) Husssars 1900-1922. (South African war Section) - the original Manuscript. 387pp (folio) together with 73pp of Corrections, insertions and marginal notes appear throughout. Some diagrams of sketches, enhanced in red ink, are present, others have been cut out for use elsewhere. The record is contained in a quarter goatskin box (358 x 232mm). B. Manuscript copy of Regimental diaries used in compiling the South African War history. Most copious is that of Maj. E.D. Broune - Synge - Hutchinson V.C., which contains a long entry of the action at Geluk October 13, 1900. The diary, extends from 16.1.1900 to 17.4.1902. Other diaries contributed include those of Capt. D.M.Miller, Lt. Col. Lockett, Maj. H.J. Tilney and Maj. W.R. Campbell. Some entries refer to Regimental units serving in detached columns. In excess of 480pp (folio). contained in a quarter goatskin box (373 x 237mm). C. A file of correspondence relative to the South African War record. Over eighty letters present. approx. half of them from E.D. Browne - Synge - Hutchinson V.C. The letters amplify points from the war diaries or concern details from the Regimental History. Contained in a quarter goatskin box. (280 x 230mm). D. Manuscript copy of Maj. General Dickson's account of the 4th Cavalry Brigade and other columns in the South African War. April to November 1900. 29pp (folio). Contained in quarter goatskin box (347 x 222mm). E. Lieut. Browne's sketches of the campaign in South Africa. Fifty nine drawings and diagrams in ink including views of Spion Kop (January 1900), actions at Vaal Krans and Pieters Hill (February 1900). Action at Leeuwkop. Roodekop, Thaba Nchu and Houtnek (April - May 1900). Diamond Hill operations (June 1900) and Geluk (October 1900). The sketches vary in size from 70 x 180mm) to (185 x 295mm). Mounted in a album, half goatskin (305 x 410mm). 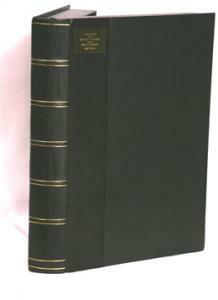 H. Browne / Bridges - Historical record of the 14th (Kings) Hussars 1900 - 1922. London 1932. xvi + 586pp. (South African War record pp 1-228). Pocket maps and various plates. Original cloth (244 x 183mm) With slipcase. Brigadier Browne's copy with a few marginal notes. I. Goldmann (C.S.) - With General French and The Calvalry in South Africa. London 1902. xix +462pp. Pocket sketches, folding maps and illustrations. Original cloth 230 x 148mm). With slipcase. Brigadier Browne's copy with a note from the author thanking him for his contribution.